Set in Victorian England and based on Charles Dickens’ A Christmas Carol, this two-act musical stage production chronicles the life of tight-fisted, cold-hearted, bah-humbugging Ebeneezer Scrooge. With a cast of children as well as adults, this story will once again come to life through spirited acting, dancing and robust Christmas music. 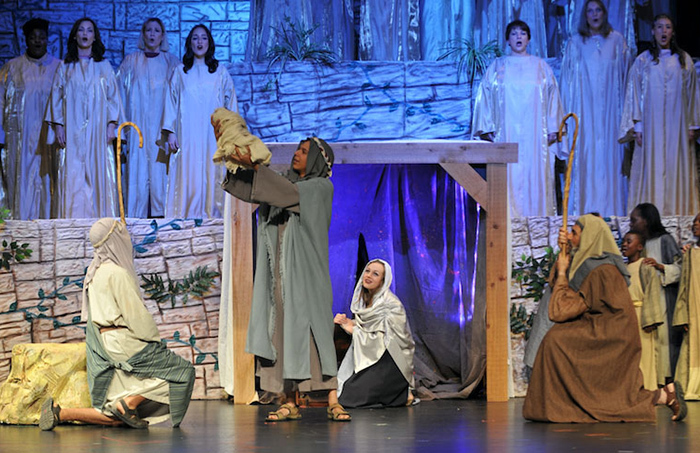 Watch as Ebenezer’s life is transformed forever by the love of God, conveying the true meaning of Christmas in a way that is both unforgettable and entertaining for the whole family. 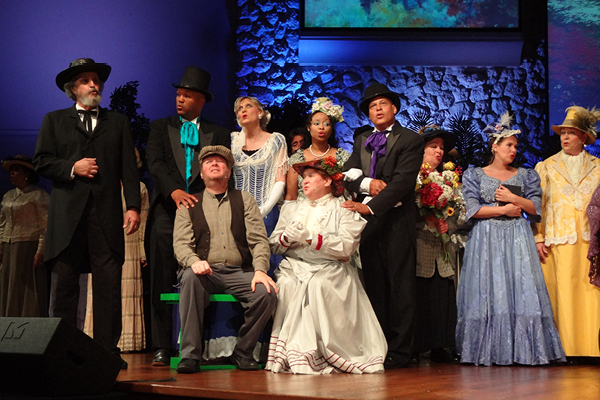 MORE ABOUT “THE SCARLET THREAD"
In April 2017, Revelation Ministries produced “The Scarlet Thread” in a full-scale musical with multiple performances at the Hollywood Performing Arts Center. 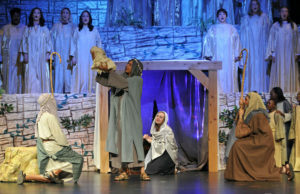 The musical, which reveals the presence of the Lord Jesus from Genesis to the Book of Revelation, had an overwhelming response. Written by professional screen and television writer, Starr Horton, “The Scarlet Thread” contains music by contemporary composers such as Joshua Spacht, Gregg Nelson and Bob Farrell, David Clydesdale, Robert Sterling, Hyun Cook and Mary Kay Beall. Original work composed specifically for this script was from Jeremiah Ginsberg and Janet Cunningham. Blending music and dance with state of the art special effects, The Scarlet Thread begins at Creation and through the Old and New Testaments shows how the Father saves and redeems His people through the Scarlet Thread of His Son. 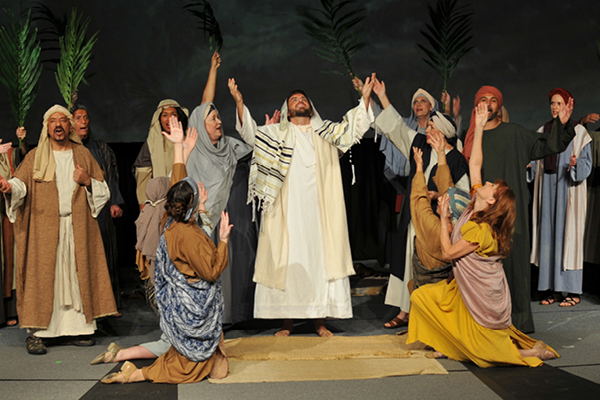 After the crushing fall of man at Creation, the audience will experience God’s covering grace with Moses at Passover; share with David the joy of the Presence of God when the Ark of the Covenant returns to Jerusalem; witness the sacrificial love of Boaz for Ruth, and walk with Jesus through His three years of ministry. It all concludes with the ultimate victory He gained for each one of us at the Cross. The motive force behind “The Scarlet Thread” is Matthew 28:19 – to go and make disciples of all nations. 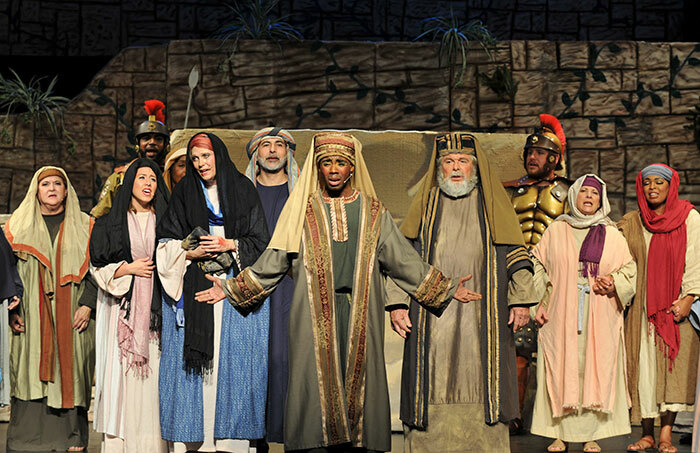 Everything about this production is geared to show people of all nationalities and of all levels of Spiritual understanding that God loves them and has a plan for them. 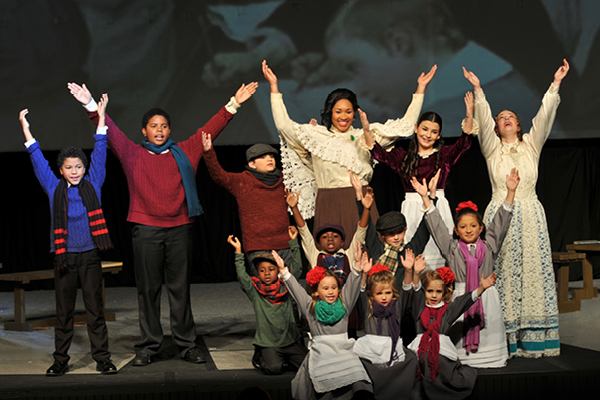 Indeed, when all is said and done, the goal of “The Scarlet Thread” is simple – to impact the world with the love of God through the dramatic arts. 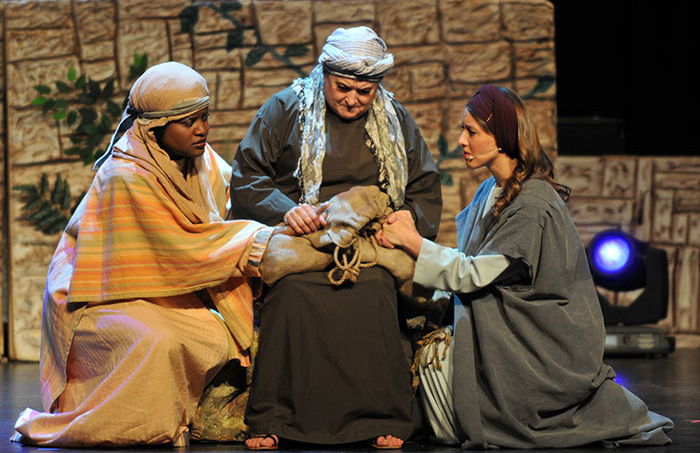 A minimalist production depicting the life of Christ with music and drama. 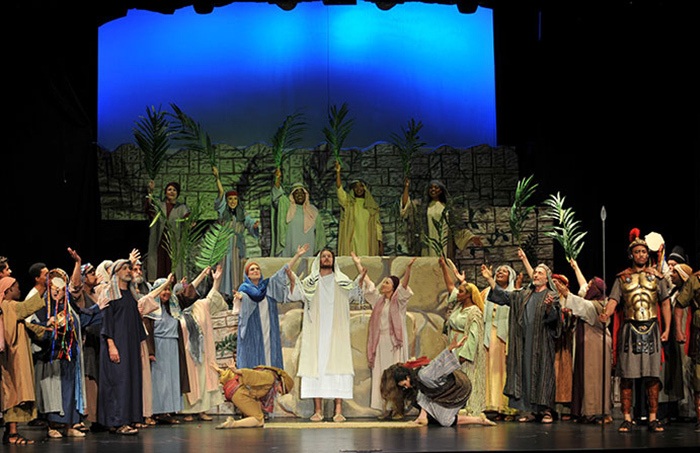 In fifty minutes, the interdenominational cast of 20-27 representing 15 churches portrays approximately 38 characters in the life of Christ, using only creative costuming. 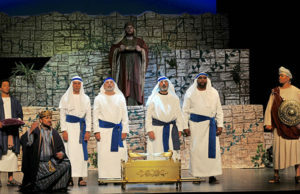 The narrations that carry the audience through the seven scenes of the drama are short and taken right from Scripture. Each scene is strategically woven through with contemporary arrangements of classic tunes as well as with new songs with full orchestration accompaniments. This simplistic approach is used to enable us to travel into the various state correctional institutes where props are not allowed. This approach has also enabled us recently to travel to Israel and present the Gospel in several venues where props and technical methods were not possible. A two hour musical presentation. 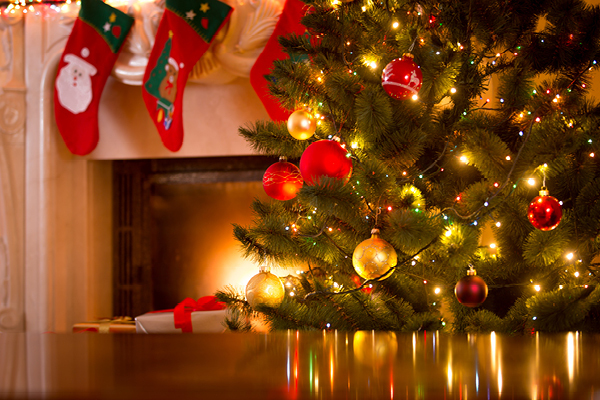 Act One includes an opening scene of the family tradition built around Christmas with gifts and trees covered with ornaments. 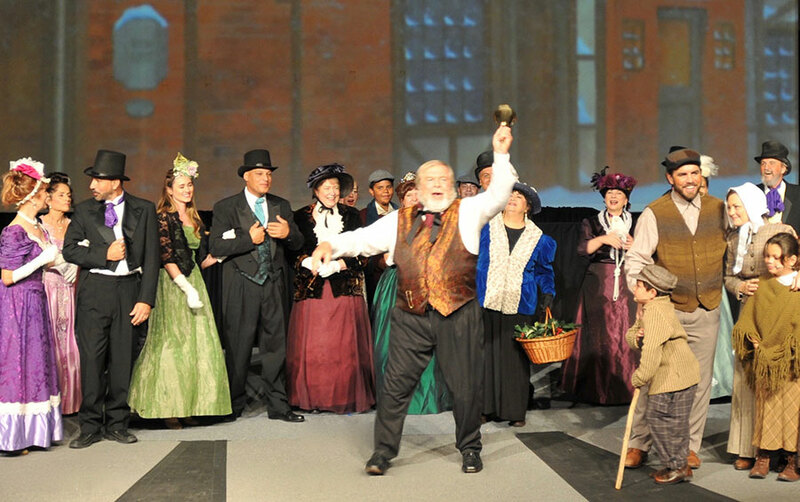 Following this opening scene, our cast presents a choir concert with traditional and spiritual songs celebrating this special time of year. Act Two is the real story of Christmas that details the birth, life, ministry, death and resurrection of Jesus Christ. 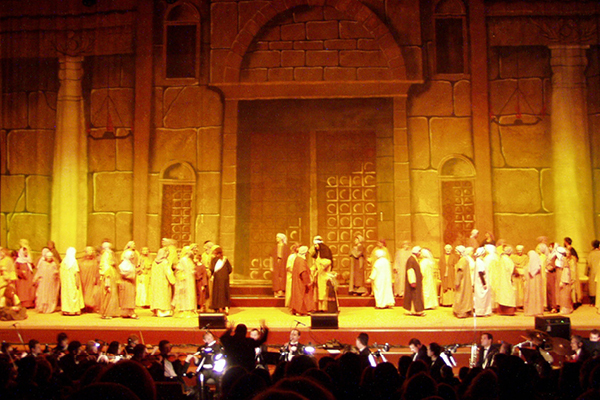 Included in this scene are beautiful curtains, special effects and biblical costumes of that period of history. Similar to “Christmas Celebration”©, but begins with the story of Adam and Eve and their fall into sin. One of the questions that was asked over and over by our Eastern European audiences after a performance of Christmas Celebration”© was, “Why did Jesus do all of this for us?”. This led us to add the scene depicting the creation of Adam and Eve and their fall into sin and mankind’s need of a Savior. 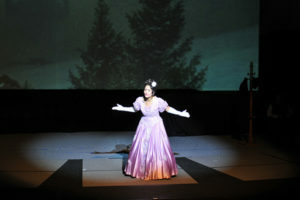 The story is told with ballet dance and beautiful costuming. 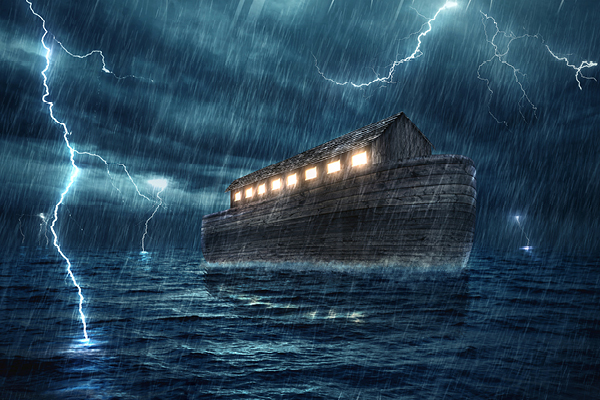 The story of Noah and the Ark. It’s the story of how the faithfulness of one person can change the world. The drama shows how God’s Word, when given to someone as a command to follow, should be obeyed, even if those around us don’t believe or laugh and call us crazy. 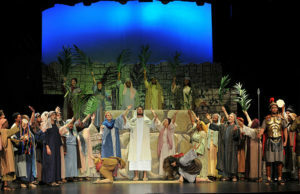 The set was a life-size, believable looking ark and the story was told with song, dance and narration. Our “animals” were school children dressed in colorful costumes. 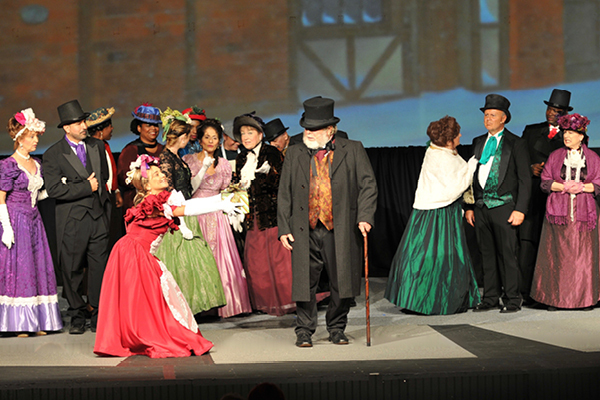 This was a very successful presentation, enjoyed by cast and audience alike and met with enthusiastic applause. More than a production, it is an invitation! 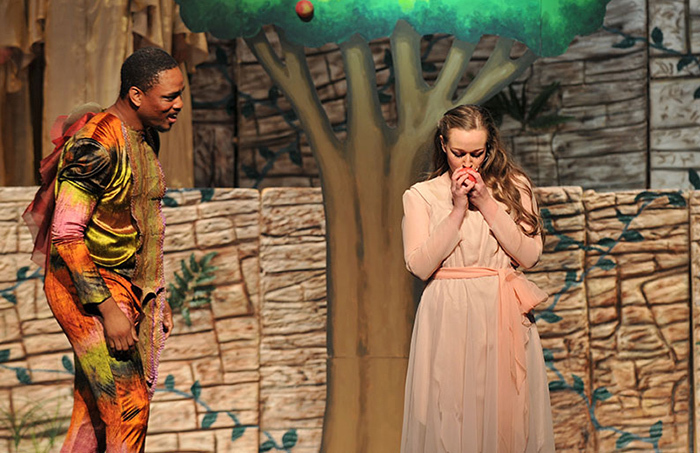 This story invites the audience into a relationship that will change their lives forever. When audiences experience “The Greatest Love Of All!”©, they will experience the greatest love of all! The story is about sacrifice, a thematic thread that weaves the Book that we know as the Bible together. It is not only a story about love but also about obedience. 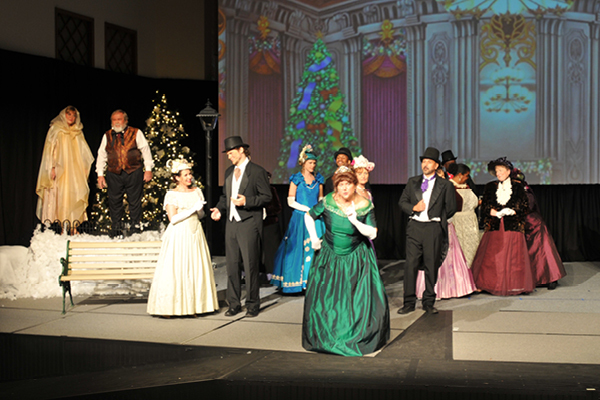 The style is everything from classical ballet to big theater. It has humor and drama, but most of all, it has hope. 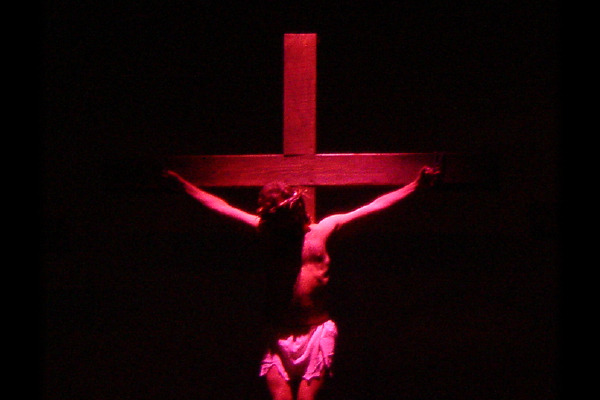 Beginning with the tragic fall of man from grace and his complete redemption through the life, death and resurrection of Jesus Christ, this story captivates the audience. You will be amazed by Noah, you will dance for joy with David, you will laugh as the Son of God walks untouched through the fiery furnace with Shadrach, Meshach and Abednego, and you will weep as you behold the Lamb of God. Set in the 1960’s and jam packed with all the music, humor, nerds, bee-hive hair-dos and culture of the era. From the moment the curtain opens on a dance scene of a major production dance number, the audience is in for a rockin’ good time! But more than just entertaining, it is a story of teenagers in love, 50’s & 60’s rock ‘n roll and a devastating tragedy bringing new life! Penny and Joey meet at a dance – a shy, young girl catches the eye of the local heart-throb. Although Penny is drawn to Joey, she remembers her mother’s advice and invites Joey to attend a play at her church. 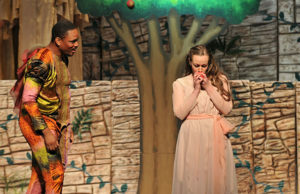 Afterwards, Joey can’t deny that his life has been changed by the play’s message. All of his friends laugh at him but one – Danny, the lead singer of the Thunderbirds sees that Joey is different, but before he has an opportunity to talk to him, a devastating tragedy occurs! Ten years pass, Danny meets with Penny….Devil or Angel?…you decide! “Devil or Angel?”© is funny, it’s said, it’s powerful, it’s loud, it’s really rock ‘n roll! 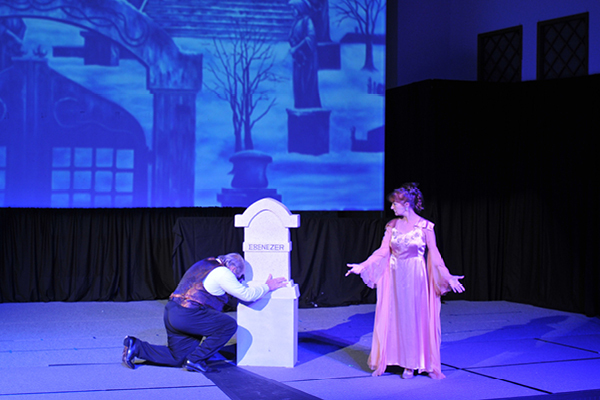 It’s theater, it’s band show biz, it’s a costumed, choreographed production…but most of all, it’s GOD’s!!! “Celebration of New Beginnings” is a musical which premiered in Spring 2014. 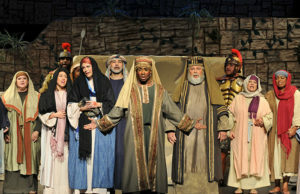 It consists of two one-act plays designed to share the need of a Savior. 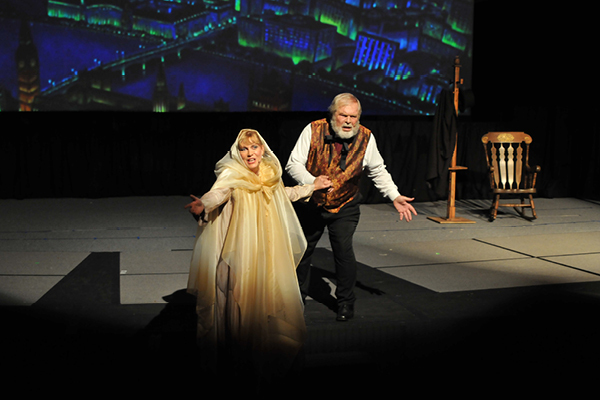 The first act is set in the late 1700s and is the story of Robert Robinson, author of the hymn “Come Thou Fount of Every Blessing.” After walking away from his faith, he has an encounter with a young lady humming his hymn. She encourages him to look at God’s “streams of mercy” and return to the Lord. The musical transitions into the Biblical section with the classic hymn “How Great Thou Art” and then moves into the second act with our signature piece “He Lives”. 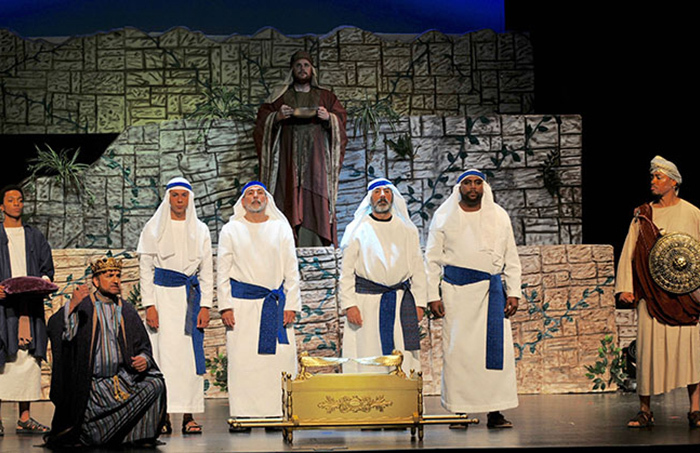 This superbly crafted play portrays the Life of Christ from the prophets foretelling his coming to his death and resurrection. Together, these two pieces convey the true meaning of mercy, grace and the need of a savior in a way that is both unforgettable and entertaining for the whole family.